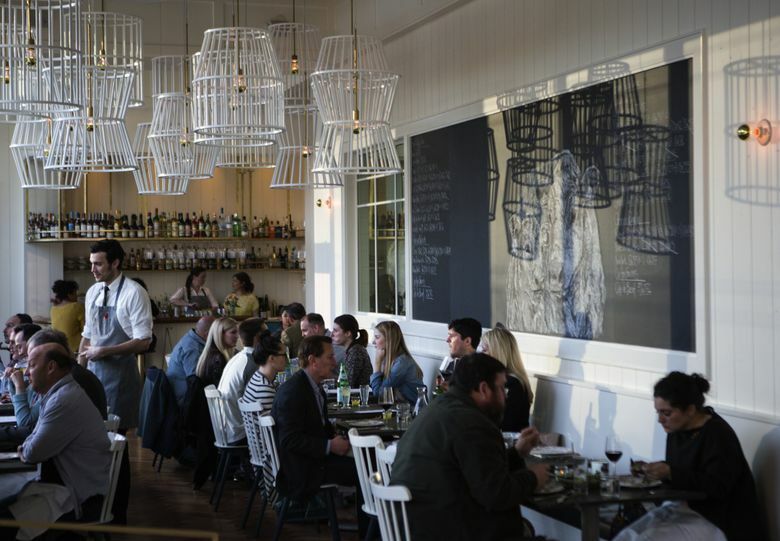 The secret to living large at the area’s swankiest restaurants without spending a fortune? Order the burger. Yes, close to $20 is a lot for a burger, but it’s not a lot for one that’s made with scrupulously sourced meat, served on a beautiful bun, ferried to you with savoir faire in fabulous surroundings. And chances are, it’ll be the best burger you’ve ever had. Shine your shoes and get ready for a night to remember (for reasons other than I’ve-never-spent-more-on-dinner). The experience: Welcome to Renee Erickson’s world at this French country dream on Capitol Hill that’s entirely refined, yet anti-stuffy. Bateau recently earned four stars from The Seattle Times, and the Bateau burger was our absolute favorite of the five we tried — drippy-rich, buttery, simple yet a marvel of flavor. Dry-aging gives the grass-fed beef a tenderness it often lacks, while imbuing it with deep flavor; a coarser grind than most makes it all the lusher. The meat here tastes buttery for a reason: butter, used in forming the patty and then to baste it while it grills. Caramelized onion jam, aioli, and salt and pepper are all the accouterments this beauty needs. The experience: El Gaucho is a big, rich, indulgent old-school classic, and so is its hamburger. The Belltown room feels like its own planet of dim lighting and the impossibility of problems, usually accompanied by the skilled, soothing tones of pianist Daniel Davison, aka Jazzbum (top requests: “Take Five,” “The Girl from Ipanema,” “As Time Goes By”). Booths are plush and the service is so good it might startle you — ladies sometimes even get escorted to the powder room. 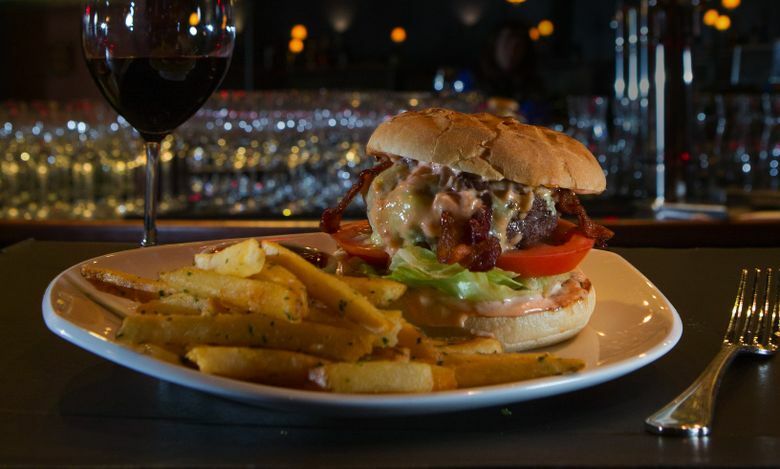 The 410 Burger is named in honor of one of Seattle restaurateur Victor Rosellini’s places, and it comes with aged English Coastal cheddar, bacon, Thousand Island dressing and (delicious) duck-fat fries. It doesn’t appear on the dinner menu, just the one in the bar, but they’ll serve it in the dining room if that’s what you desire, because this is El Gaucho. — B.J.C. The experience: You never know who will roll up to valet park. Beast Mode Marshawn Lynch gets his “Game of Thrones”-sized steak here. Starbucks CEO Howard Schultz usually sits in the back at table 62 and orders the $125 côte de bœuf. 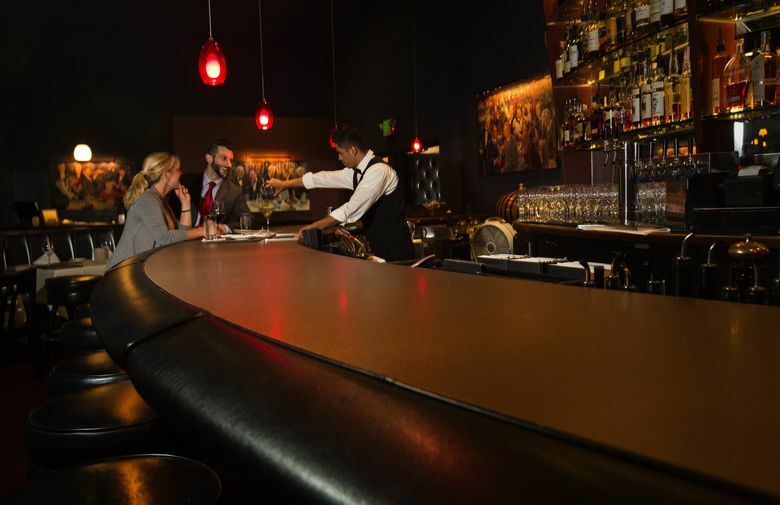 The experience: Lark’s lovely, many-windowed Capitol Hill room features midnight-colored velvet booths and a firmament of little light bulbs dangling at different lengths from the sky-high ceiling. It’s classy and contemporary, nothing overdone nor underdone, everything just right. 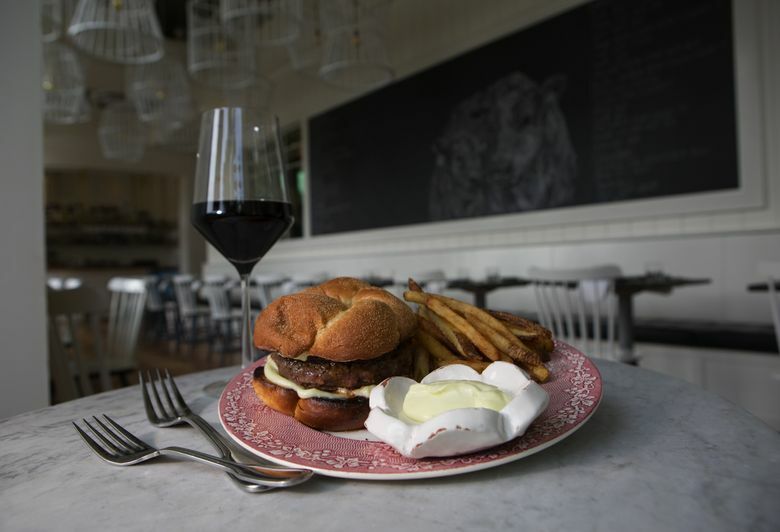 Lark’s hamburger is a messy, marvelous tribute to the best of fast food, created with exceptional ingredients and exacting care by chef John Sundstrom. This includes house-made, modernist cuisine American cheese: Tillamook (“Have to have that orange color!” Sundstrom says) and white cheddar, citric acid and local beer are all cooked together, then chilled in a terrine mold and sliced. The pickles are salted and fermented, then cold smoked; the aioli is made with grilled scallion. It’s an umami dream; we docked this one a star only because the bun was a little dry and the accompanying sunchoke chips were over-truffle-oiled and in tiny pieces. But if you love In-N-Out and also love really good food, you’re going to freak out about Lark’s burger. — B.J.C. The experience: The entryway of the dining room at the Four Seasons is nothing less than a time portal; the brown-and-tan color scheme is of the “Mad Men” era, with businessmen in sports coats accented with crisp pocket squares and well-coiffed women sporting lighthouses of diamond rings. It looks like no Seattle we know. The towering burger features wagyu beef stacked with house-made pickles, red onions, tomato, lettuce and Beecher’s cheese. Smoked onion marmalade is slathered on the bottom bun. It’s good, just not four-stars-Four-Seasons-meticulous-in-detail-good. The patty was served medium instead of medium-rare as requested. And the pile of raw onions made for a pungent, bitter bite that overwhelmed the beef. But these are First World problems. — T.V. Bethany Jean Clement: 206-464-2050 or bclement@seattletimes.com. On Twitter @BJeanClement. Tan Vinh: 206-515-5656 or tvinh@seattletimes.com.